The following is a sample from an forthcoming book by Andrew Gavin Marshall on ‘Global Government’, Global Research Publishers, Montreal. For more by this author on the issue of the economic crisis and global governance, see the recently-released book by Global Research “The Global Economic Crisis: The Great Depression of the XXI Century,” Michel Chossudovsky and Andrew Gavin Marshall, (Editors), in which the author contributed three chapters on the history of central banking, the rise of a global currency and global central bank, and the political economy of global government. In May of 2010, Dominique Strauss-Kahn, Managing Director of the IMF, stated that, “crisis is an opportunity,” and called for “a new global currency issued by a global central bank, with robust governance and institutional features,” and that the “global central bank could also serve as a lender of last resort.” However, he stated, “I fear we are still very far from that level of global collaboration.” Well, perhaps not so far as it might seem. The notion of global governance has taken an evolutionary path to the present day, with the principle global political and economic actors and institutions incrementally constructing the apparatus of a global government. In the modern world, global governance is an inter-lapping, intersecting, and intertwined web of international organizations, think tanks, multinational corporations, nations, NGOs, philanthropic foundations, military alliances, intelligence agencies, banks and interest groups. Globalization – a term which was popularized in the late 1980s to refer to the global spread of multinational corporations – has laid the principle ideological and institutional foundations for this process. Global social, economic and political integration do not occur at an equal pace; rather, economic integration and governance on a global level has and will continue to be ahead of the other sectors of human social interaction, in both the pace and degree of integration. 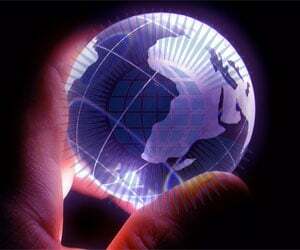 In short, global economic governance will set the pace for social and political global governance to follow. In 1885, Friedrich List, a German mercantilist economic theorist wrote that when it came to the integration of a “universal union or confederation of nations,” that “all examples which history can show are those in which the political union has led the way, and the commercial union has followed. Not a single instance can be adduced in which the latter has taken the lead, and the former has grown up from it.” The twentieth century thus changed the historical trend, with undertaking economic integration – union – which is then followed by political integration. The best example of this is the European Union, which started out as a series of trade agreements (1951), eventually leading to an economic community (1957), followed by an economic union (1993), followed by a currency union (2002), and with the recent Lisbon Treaty, is now in the process of implementing the apparatus of a political union (2009). While this same regional governance model is occurring on a global scale in Africa, South America, East Asia, the Gulf Arab states, and with North American and Euro-American integration, it is simultaneously taking place on a global level. With the establishment of the World Trade Organization (WTO) in 1995, global trade systems were institutionally integrated, while the major global economic institutions of the IMF and World Bank, as well as others including the Bank for International Settlements (BIS), accelerated their management of the global economy. The process of globalization has firmly established a globally integrated economic system, and now the global economic crisis is facilitating the implementation of global economic governance: to create the economic apparatus of a global government, including a global central bank and a global currency. This process is exponentially accelerated through economic crises, which create the need, desire, urgency and means of establishing a structure of global economic governance, purportedly under the guise of “preventing economic crises” and “maintaining” the global economy. The same institutions and actors responsible for creating the crisis, are then given the job of determining the solution, and are then given the power and means of implementing it: problem, reaction, solution. They create a problem to incur a particular reaction for which they then propose a predetermined solution. When pressure needs to be applied to individual states that are not following dictates of the institutions of global governance, the market is turned against them in a barrage of economic warfare, often in the form of currency speculation and derivatives trading. The result of this economic warfare against a nation is that it must then turn to these same global institutions to come to its rescue: problem, reaction, solution. As time passes, the damage caused by currency instability is gradually going to mount; and the very trends that will make it mount are making the utopia of monetary union feasible… The phoenix would probably start as a cocktail of national currencies, just as the Special Drawing Right is today. In time, though, its value against national currencies would cease to matter, because people would choose it for its convenience and the stability of its purchasing power. The first major summit of the G20 – the group of the 20 largest economies in the world – was in November of 2008, in the midst of the financial crisis. The G20 was to replace the G8 in the management of the global economy. The member nations are the United States, Canada, France, Germany, Italy, the United Kingdom, the European Union, Australia, Russia, Japan, South Korea, Turkey, Mexico, Indonesia, Saudi Arabia, Brazil, South Africa, Argentina, India and China. The World Bank and IMF also work directly with the G20, as does the Bank for International Settlements. In March of 2009, Russia suggested that the G20 meeting in April should “consider the possibility of creating a supra-national reserve currency or a ‘super-reserve currency’,” and to consider the IMF’s Special Drawing Rights (SDRs) in this capacity. A week later, China’s central bank governor proposed the creation of a global currency controlled by the IMF, replacing the US dollar as the world reserve currency, also using the IMF’s SDRs as the reserve currency basket against which all other currencies would be fixed. Financial Stability Board membership to include all the systemic emerging market economies. As commentators and governments praised the ‘economic recovery’, the world entered into a massive global debt crisis, a veritable ‘Great Global Debt Depression,’ in which the major industrialized nations of the world, having taken on excessive debts due to bailouts, stimulus packages and decades of imperial expenditures and war-mongering. The debt trap used to enslave the ‘global south’ has come home to roost. The first stage of the ‘Great Global Debt Depression’ began in Greece, where the country was so indebted that it needed to seek help in the form of an IMF ‘bailout’ simply to pay the interest on its debt. For nearly a decade, Greece’s government colluded with major Wall Street firms such as Goldman Sachs and J.P. Morgan Chase to hide its true debt in the derivatives market, so when a new government came to power in October of 2009, it inherited a debt twice as large as it had anticipated, at 300 billion euros. J.P. Morgan Chase, Goldman Sachs, and several other leading banks helped hide the debt for several nations across Europe, which all began to enter into a debt crisis. Interestingly, banks rapidly expanded their use of the derivatives trade not only in Greece, but Spain and Portugal as well, “as worries about those countries’ debts moved markets around the world.” Subsequently, “European banks including the Swiss giants Credit Suisse and UBS, France’s Société Générale and BNP Paribas and Deutsche Bank of Germany have been among the heaviest buyers of swaps insurance.” The reason for this: “those countries are the most exposed. French banks hold $75.4 billion worth of Greek debt, followed by Swiss institutions, at $64 billion,” and “German banks’ exposure stands at $43.2 billion.” J.P. Morgan Chase, Goldman Sachs, and other US banks are also participating in the derivatives assault against Greece, which may be “pushing Greece toward financial collapse.” Thus, we have a situation in which major global banks helped governments acquire expansive debts (and hide it from their balance sheets), and then the countries enter into a debt crisis. As they impose fiscal austerity measures to reduce their deficits, and seek help from central banks and the IMF to pay their interest, these same global banks speculate against the debts, thus pushing the nations further into crisis, exacerbating the social crisis, and forcing further and more expansive ‘austerity measures.’ The interest payments on the debt are, as an added insult, to be paid to these same global banks, which hold most of the debt of these nations. In short, the debt crisis is amounting to a form of financial warfare and social genocide, implemented by the major global banks, the central banking system (which they control), and the international organizations that serve their interests. A working paper issued by the Bank for International Settlements (BIS) in March of 2010 explained that the West is facing a massive debt crisis, and that the United Kingdom and United States – along with other nations such as Spain and Ireland – took on massive debt in the past three years, making the debt crises in Italy and Greece “comparatively small.” Further, investors are expected “to demand a higher risk premium for holding the bonds issued by a highly indebted country.” In other words, the BIS warned that speculators would likely undertake a ‘market’ assault against indebted nations, further exacerbating the debt crisis and increasing pressure to impose ‘fiscal austerity’, or commit ‘social genocide’. In September of 2009, the derivatives market had rebounded to $426 trillion, and continued to pose “major systemic risks” for the financial system. In 2010, the World Economic Forum warned of the potential of a “full-scale sovereign fiscal crisis” – a global debt crisis – possibly accompanied by a second major financial crisis. Jürgen Stark, an executive member of the European Central Bank warned in April of 2010 that, “We may already have entered into the next phase of the crisis: a sovereign debt crisis,” which could spread across the EU, to the U.K., United States, and Japan. Economic historian (and Bilderberg participant) Niall Ferguson warned of a “Greek Crisis Coming to America,” and a “fiscal crisis of the western world,” which will spread from Greece, throughout Europe, and to the U.S. and Japan. In early June of 2010, the G20 finance ministers and central bank governors met in Seoul, South Korea, in a meeting with significantly less media coverage than the later G20 leaders summit in Toronto, and significantly more importance to the state of the world economy. The communiqué released by the finance minister and central bankers following the summit stated that G20 nations needed to speed up the process of “fiscal consolidation” (see ‘fiscal austerity’). The IMF presented a report at the meeting recommending the adoption of “adjustment policies” to presumably aid in economic growth. There was no mention, however, of how similar “adjustment policies” failed to deliver growth to the developing world over the previous 30 years, and in fact, spread poverty and economic despair instead. A toll highway in Indiana. The Chicago Skyway. A stretch of highway in Florida. Parking meters in Nashville, Pittsburgh, Los Angeles, and other cities. A port in Virginia. And a whole bevy of Californian public infrastructure projects, all either already leased or set to be leased for fifty or seventy-five years or more in exchange for one-off lump sum payments of a few billion bucks at best, usually just to help patch a hole or two in a single budget year. America is quite literally for sale, at rock-bottom prices, and the buyers increasingly are the very people who scored big in the oil bubble. Thanks to Goldman Sachs and Morgan Stanley and the other investment banks that artificially jacked up the price of gasoline over the course of the last decade, Americans delivered a lot of their excess cash into the coffers of sovereign wealth funds like the Qatar Investment Authority, the Libyan Investment Authority, Saudi Arabia’s SAMA Foreign Holdings, and the UAE’s Abu Dhabi Investment Authority. This process is also underway in Canada, as the Ontario government in 2009 considered selling off “all or part” of its Crown corporations to reduce the provincial deficit, and it hired CIBC and Goldman Sachs to write a blueprint for possible privatizations. Further, there are increased calls – globally – for advancing the agenda of the privatization of water, a scheme which the World Bank has pushed on several countries around the world, resulting in enormous costs – in economic, political and social terms – to the poorest people, and enormous profits for the handful of global water conglomerates. Organized around the International Water Association and the World Water Council, the major water conglomerates, the World Bank and the UN have been promoting water privatization schemes across the ‘developing’ world and increasingly within the West as a means to ‘solving’ the world water crisis. As we have seen, however, from the cases of water privatization in places like Bolivia, South Africa, El Salvador, and several others, it is the poor who suffer the most, and it will be the same whether it is in Angola or America. While nations of the West begin to impose fiscal austerity on their populations and social structures, the harsh effects will come with time, as nations have maintained extremely low interest rates, thus keeping the ‘cost’ of money cheap. However, as the Bank for International Settlements (BIS) report of June 2010 stated, “both fiscal and monetary policy may have to be tightened at the same time.” This means that, according to the BIS, interest rates must rise along with fiscal austerity measures. It was, lest we forget, the extremely high interest rates in the late 70s and early 80s that set off the 1980s debt crisis, as nations with large foreign debts could no longer afford to pay their annual interest payments, thus needing to turn to the IMF and World Bank for ‘assistance’ in the form of ‘structural adjustment programs’. The massive stimulus spending and bailouts will create the likely scenario of causing inflation, making prices rise dramatically. To fight inflation, nations can raise interest rates, which then make the currency more expensive, and thus, reduces the rates of inflation. As central banks around the world injected billions and trillions of dollars into the financial system, they kept interest rates extremely low in order to encourage the flow of money. In the 2009 annual report of the BIS, it warned that this policy could create massive inflation, so interest rates will have to be raised eventually. The major question is ‘when’ they will rise; if it’s too late, inflation could get out of control, if it’s too early, it could destroy the ‘recovery.’ So as the 2010 annual report of the BIS calls for simultaneous fiscal and monetary tightening, this could be potentially disastrous, possibly “pushing the global economy into depression.” The effect of high interest rates, while potentially decreasing the rate of inflation, will increase the cost of the annual debt payments nations must make, thus exacerbating and feeding the ‘fiscal austerity’ measures imposed to reduce spending. This would reverberate onto the average person, as interest rates on all debts, including their personal debts would also increase. While fiscal austerity will increase taxes, increase poverty, and deconstruct the middle class, high interest rates would bleed them dry. However, inflation itself acts as a hidden tax, increasing the cost of consumer goods such as food and fuel, as the currency depreciates in value. This is also a major cost to the vanishing middle class. It seems that either way, the average person is in the crosshairs of a system of economic terrorism. It’s the epitome of a ‘Catch-22’; you’re damned if you do, and you’re damned if you don’t. Raising interest rates during a time of fiscal austerity, however, is particularly destructive to the average person. Notably, “fiscal and monetary tightening were tried in tandem in the early 1930s and it didn’t work then.” In other words, it helped plunge the world into the Great Depression. Today, however, it would be significantly worse, as now we have the reality of mortgages, credit card debt, derivatives, student debt, etc. These things did not exist at the onset of the Great Depression, so today it would result in the ‘Greatest Depression.’ It’s a debt trap, and everyone is caught in it. If states don’t raise interest rates, the ‘market’ may turn against them, as major global banks, hedge funds and currency speculators may ‘lose confidence’ in a nation’s currency, and flee the currency, thus plunging it in value, leading to potentially hyperinflation (as was experienced in Weimar Germany and Zimbabwe), which also has the effect of devastating a nation and plundering the wealth of its people. Ultimately, talk about whether or not to increase interest rates, and how to impose fiscal austerity are misleading. This is because these discussions operate on the basis that these debts are legitimate. The legal doctrine of ‘odious debt’ stipulates that sovereign debt incurred without the consent of the people and not benefiting the people is odious and should not be transferable to a successor government. In other words, if a debt doesn’t benefit the people, it’s illegitimate and should not be repaid. If this principle was applied to the ‘Third World’, it could be safely said that the IMF, World Bank, and Western nations would effectively lose their control of the global south. It is through the mechanism of debt that modern imperialism functions most effectively. Naturally, the correct economic path to take for an actual recovery would be to declare all these major debts illegitimate – of the ‘Third World’, and of the Western world – as the debts of the West were incurred from financing foreign imperial adventures, and the debt of the ‘rest’ is the result of that imperialism. Through the economic crisis, the debts incurred were largely done so in terms of buying the bad debts of the banks that created the crisis, thus, they too are illegitimate. Even the ‘stimulus’ money was indebted in order to solve a financial crisis created by a corrupt minority around the world. Credit card debts and student debts exacerbate poverty, and if there are no jobs for students in a broken economy, their debt is illegitimate. Since credit card debt was incurred to finance consumption and allow people to live beyond their means, there is a notion of responsibility on the part of the debtor, however, because credit card companies target the indebted and have essentially ‘captured’ the middle class, and now they must pay through their own impoverishment, people have been misled, and the debt ultimately did not benefit them; thus, it too is illegitimate. If our governments, the banks, the corporations and all creditors have colluded together to seek personal profit and gain, while impoverishing us and the rest of the world in the process, all the world’s debts to these institutions, actors and nations is odious and should not be repaid. Taking this stance, however, would not get you far in the world of economics or politics, as you would be advocating for the end of financial, economic, social and political imperialism and power structures; not a particularly popular position from the perspective of the powerful. So the debates and discussions will rage on; when to raise interest rates, how to impose fiscal austerity, how to create ‘recovery’; all the while global political and economic institutions, states and actors will be working to impoverish you and destroy the foundations of society upon which you stand. Towns, cities, and states across America are resorting to drastic actions to reduce their debts, such as closing fire stations, scaling back trash collection, turning off street lights, ending bus services and public transportation, cutting back on library hours or closing them altogether, school districts cutting down the school day, week or year, and it was reported in September of 2010 that “local governments will eliminate roughly half a million employees in the next fiscal year, with public safety, public works, public health, social services, and parks and recreation hardest hit by the cutbacks.” Simultaneously, this is occurring with a dramatic increase in the rate of privatizations or “public-private partnerships” in which even libraries are being privatized. The imposition of ‘structural adjustment’ in the ‘Third World’ resulted in an explosion of social unrest, as the rural poor, the urban poor, and the urban middle class would come together to protest these policies, and “between 1976 and 1992 there were 146 protests against IMF-supported austerity measures in 39 countries around the world. These took the form of political demonstrations, strikes and riots.” As “fiscal austerity” and ‘structural adjustment’ are imposed on the West, we can expect the same results to occur. In fact, this process has already begun. At the onset of the global economic crisis in 2008, the IMF warned that governments of the west could see “violent unrest on the streets,” as “violent protests could break out in countries worldwide if the financial system was not restructured to benefit everyone rather than a small elite.” A cynical statement of the IMF, considering it is one of the central institutions that supports and upholds the interests of that “small elite.” In early 2009, Eastern Europe was already experiencing social unrest in opposition to austerity packages, and Latvia experienced the largest protests since the mass rallies against Soviet rule in the late 1980s. I’d like to begin with the global economic crisis, because it already looms as the most serious one in decades, if not in centuries… Economic crises increase the risk of regime-threatening instability if they are prolonged for a one- or two-year period… And instability can loosen the fragile hold that many developing countries have on law and order, which can spill out in dangerous ways into the international community. There will be blood, in the sense that a crisis of this magnitude is bound to increase political as well as economic [conflict]. It is bound to destabilize some countries. It will cause civil wars to break out, that have been dormant. It will topple governments that were moderate and bring in governments that are extreme. These things are pretty predictable. These protests continued throughout October of 2010, particularly in France, where millions of people went on strike, protested, and in some cases, rioted against President Sarkozy’s fiscal austerity plans, turning him into the most unpopular president in more than 50 years. To further accelerate the process of global economic governance, it is essential for the principle economic institutions and powers to integrate China fully into this system. China is already a signatory to the World Trade Organization, having opened up its banking sector to foreign investment, with its economy fully integrated with and largely dependent upon the West, it is pivotal to include China in the system of global governance. China is represented in the Bank for International Settlements (BIS), which the IMF referred to as “the central and the oldest focal point for coordination of global governance arrangements.” The board of directors of the BIS has 19 members, comprising the Governors of the central banks of Belgium, France, Germany, Italy and the United Kingdom and the Chairman of the Board of Governors of the US Federal Reserve System, as well as the Governors of the central banks of Brazil, Canada, China, Japan, the Netherlands, Sweden and Switzerland and the President of the ECB (European Central Bank). China is also represented in the G20, of which the President of the European Central Bank, Jean-Claude Trichet, referred to as “the prime group for global economic governance at the level of ministers, governors and heads of state or government.” In 2009, China and India were invited as official members of the Trilateral Commission, an international think tank created by David Rockefeller and Zbigniew Brzezinski in 1973 with the aim of creating a “community of industrial nations” comprising Western Europe, North America and Japan, essentially with the aim of managing the process of globalization. In November of 2010, the G20 is to be hosted by South Korea, where they will meet to again advance the process of global governance and global social genocide. Prior to the official meeting of heads of state, a much more important preliminary meeting took place between the finance ministers and central bank governors of the G20 nations. This took place in late October of 2010 in Seoul, South Korea, at a time when the world is immersed in a global currency war. The currency war involves several major nations, from America, to Brazil and China, seeking to depreciate their currency in order to make exports more attractive, so their central banks (all of which cooperate on global governance at the BIS), buy and sell each others’ currencies, attempting to decrease the value of their own currency while increasing the value of competitor currencies. In short, it’s a race to the bottom. To convince China to appreciate its currency, incentives must be given. If China is to be following the dictates of the global financial powers, its economic weight in the world demands that China be better represented and more involved in the governance of these institutions. This means that if China is being integrated into a system of global governance, it must be invited to the management table. After the changes take effect, Brazil, Russia, India and China will be all included in the fund’s 10 biggest shareholders. The US, with a 17.67 per cent share of IMF quotas, will retain its veto power for the fund’s key decisions as they will continue to require a super-majority of 85 per cent. This is important to note as it clearly indicates that America still remains the ‘Godfather’ of the global financial system. The IMF requires 85% of voters to agree on any changes or decisions, and since the U.S. has 17.67% of the shares, if the U.S. votes against anything, the IMF cannot go forward, giving the U.S. veto power over the IMF. Yet these changes still represent an incremental effort to bring China within this system of global governance. At the same time, a top Chinese banker stated that, “the yuan should be included in the basket of currencies that constitute the International Monetary Fund’s Special Drawing Rights.” This would give China a more direct stake in the formation of a global currency, of which its central bank governor is already a firm supporter. So while institutions and organizations of global governance continue to grant themselves more power and expand their control and authority over the world, the people of the world must wake up to this process and seek to stem and stall its advancement. A global government would represent the people of the world even less than they are already not represented through their national governments. Institutions of global governance are totally unaccountable to the people, totally undemocratic, and are inherently totalitarian. As Gideon Rachman wrote for the Financial Times in December of 2008, “for the first time in my life, I think the formation of some sort of world government is plausible.” While articulating the need for a global government, modeling it on the European Union “going global,” he examined the setbacks that the EU had in this process, suggesting the same is likely in the process for global government. Specifically, he identified that whenever the people were involved in the process, they would act to stall or reject the process of integration. Thus, Rachman concluded, the European Union “has progressed fastest when far-reaching deals have been agreed by technocrats and politicians – and then pushed through without direct reference to the voters. International governance tends to be effective, only when it is anti-democratic.” In other words, if we want global governance, we must kill democracy in the process. What this implies then, is that the people have the potential to prevent this process from taking place, but only if they become directly involved in rejecting it. This means that people’s movements need to stop recognizing the legitimacy of these international organizations and institutions, complaining only that they are not included in discussions, and instead demand that they be dismantled altogether in favour of forming new governance arrangements – political, economic and social – that actively represent and empower the people over the entrenched powers. This is no simple task, in fact, it is likely the greatest, most monumental and challenging task that has ever faced humanity. So it seems necessary that the people not waste their time, not waste their votes, voices, or ideas, and work together to promote true progressive and humane change. There is hope in humanity yet, but so long as we allow the powerful to accumulate more power for themselves, we cannot expect things to get better for the majority. We must take advantage of our freedoms in order to fight for and preserve them. We can either be free thinkers, directing the course of our own lives, or we can be slaves to bankers. Andrew Gavin Marshall is a Research Associate with the Centre for Research on Globalization (CRG). He is co-editor, with Michel Chossudovsky, of the recent book, “The Global Economic Crisis: The Great Depression of the XXI Century,” available to order at Globalresearch.ca. He is currently writing a book on ‘Global Government’ due to be released in the New Year.